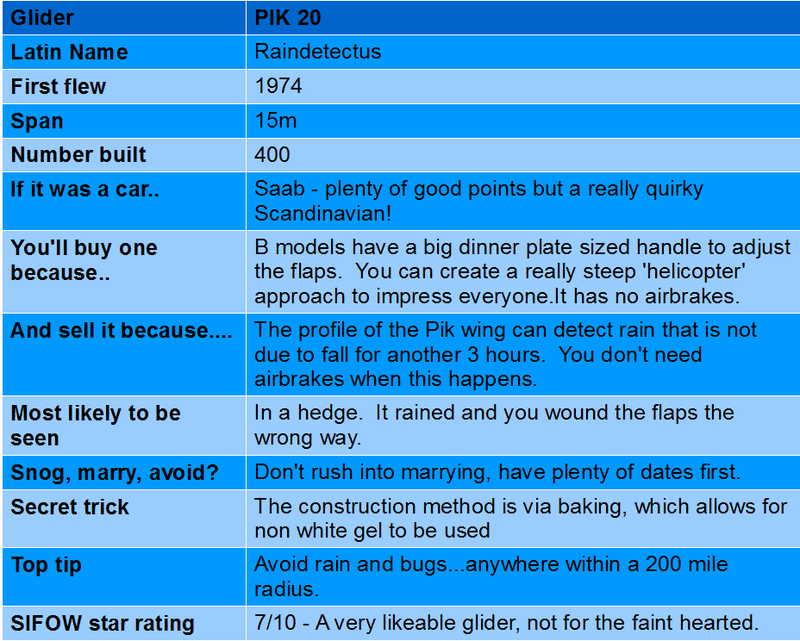 The Pik 20 (or to give it it's full name the "Polyteknikkojen Ilmailukerho 20" - yes really!) is an aquired taste. Looking like a Guppy and being more senstive to bugs than a Venus fly trap, the PIK 20 offers low cost 15m flapped performance (until it rains). 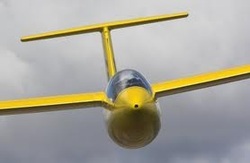 Early B models had no airbrakes, instead using a dinner plate sized handle to adjust the flaps. Later D models added ineffective conventional airbrakes until finally the E model added an engine designed by Wallace and Grommit that requires 15 turns of another huge candle to errect it. The noise and complexity of the cockpit puts the Space Shuttle to shame!